(Bloomberg) — Miners and investors are poring over satellite images, tracking drilling rigs and quizzing company executives for clues on whether the sector’s heavyweights are close to a new jackpot discovery. As Rio Tinto Group searches Australia’s Great Sandy Desert for copper and Anglo American Plc scours a 19,000-square kilometer package of land in Brazil, they’re among the mining giants stoking excitement over potential reserves that’ll replenish project pipelines and overturn the industry’s lack of recent success in unearthing deposits. 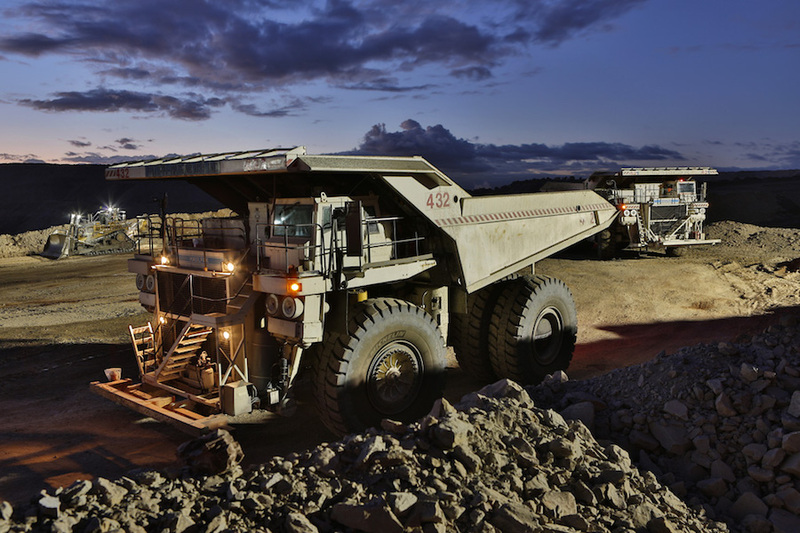 It’s part of a broader global push across the industry that’s driving a revival in exploration spending on key metals, forecast to top $11 billion after hitting a low of about $9 billion in 2016, according to Melbourne-based MinEx Consulting Ltd.
To keep tabs on progress, investors last month pressed Anglo’s Chief Executive Officer Mark Cutifani for details on his company’s campaign, while others are monitoring traffic shuttling in and out of Rio’s expanding project in the Paterson district in Western Australia, and consulting satellite imagery of the region in an attempt to deduce the scale of the company’s activities. “We have some very interesting targets, but we never say too much about exploration — I don’t want my peers to know what I’m doing,” Rio’s CEO Jean-Sebastien Jacques said in an interview last week. “Though they are looking very carefully, and using even satellite images to try to see what we’re doing.” "I don’t want my peers to know what I’m doing." Australia’s top gold producer Newcrest Mining Ltd. and iron ore exporter Fortescue Metals Group Ltd. are among others who’ve joined the quest for untapped gold and copper in the Paterson region. The recent upturn is exploration is also reviving partnerships between the industry’s heavyweights and smaller, specialist companies, a strategy that “came to a screaming halt” at the start of the decade after the global financial crisis, according to Burnett, previously an exploration executive with Newmont Mining Corp.
“Exploration is certainly a key activity for us,” Fortescue CEO Elizabeth Gaines said in a Tuesday speech in Kalgoorlie, Western Australia. The iron ore producer is searching for copper to lithium in projects spanning two continents. South32 Ltd. has been among companies to lead the way on striking new pacts, Burnett said. It has made investments, or joint-venture agreements, with about six companies that have given it an interest in almost 20 prospects from Alaska to Peru, according to a May presentation. In June, the producer agreed a $1.3 billion deal to acquire one of the partners, Arizona Mining Inc.
Rio also has forged a raft of alliances in recent months, looking for copper and gold in Serbia and joining projects in the Paterson province with Alloy Resources Ltd. and Antipa Minerals Ltd. Newcrest has widened its exploration work to take in eight countries. “What we might see — over the next 12 to 18 months — is a bit more of that in the exploration space,” Justin Osborne, executive director for exploration and growth at Gold Road Resources Ltd., told reporters Sunday at the Gruyere project in Western Australia. The developer and its partner Gold Fields Ltd. aim to begin production by mid-next year from the country’s the most significant gold find since 2005. The partnerships also allow cash-strapped explorers — which can have difficulty accessing funds — to keep projects going, and retain at least some exposure when any eventual breakthrough is made.